It is with much gladness that we have learned of your election as President of the European Commission, and we wholeheartedly congratulate you on this celebratory occasion. We anticipate that through your forthcoming term you will restore confidence in the citizens of the European Union and will better prepare their countries for the challenges that they are faced with on a global scale. 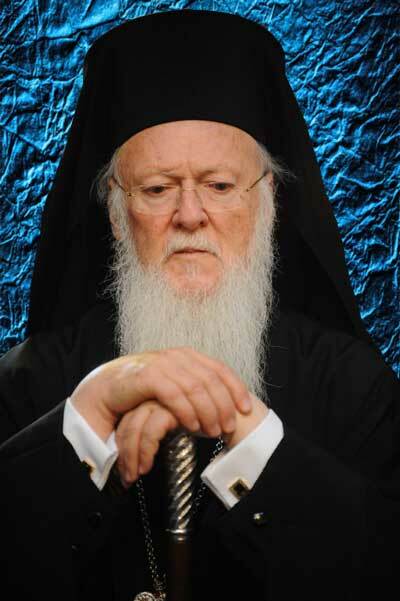 What is needed now perhaps more than ever is a more united Europe, and we feel strongly that achieving this is more probable through your efforts to nurture its centuries-old Christian roots, which the Ecumenical Patriarchate has also significantly labored for, especially over the last twenty years in our dialogue with the Group of the European People’s Party. As the First See of Orthodoxy, we can assure you of our own commitments to dialogue and collaboration, and will readily be willing to work together in order to ensure that peace and tolerance will prevail. We wish you much success with your new function, as it will be the crown of your remarkable political service and rich experiences, through which you have always demonstrated great dynamism. In conveying to you our prayers and best wishes, we beseech our Almighty God to guide and protect you always. This entry was posted in Featured News, News and tagged Ecumenical Patriarch, European Commission, His Excellency, New Rome, Rome by OCP. Bookmark the permalink. the power of prayer while speaking the truth in love is more important than any diplomatic rhetoric! pray for for all people- even your enemies and those who persecute you – especially civil authorities that they may govern our God-loving people in peace, justice and prosperity… all for the glory of God trusting in the mercy of Christ the Savior of mankind!